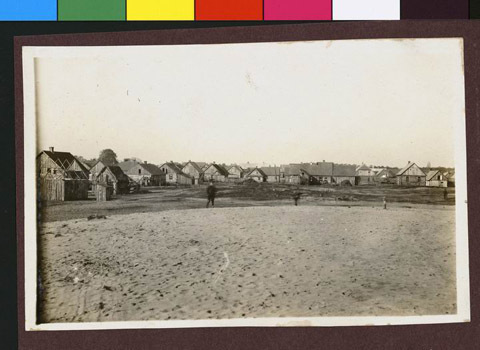 JDC - Archives : Village scene, many wooden buildings in a circle. Open space might be marketplace. Signs of construction. Title Village scene, many wooden buildings in a circle. Open space might be marketplace. Signs of construction.